Nintendo’s Wii isn’t the target of many complaints. It’s fun. It’s accessible. It’s playable. 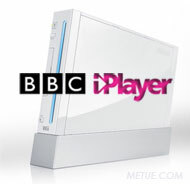 What the Wii isn’t, and it doesn’t claim to be, is a high performance gaming beast. It’s not about horsepower and bleeding edge graphics rendering. 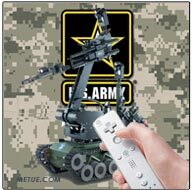 The Wii’s creative interface and controllers put playability first and at that, it succeeds. That doesn’t mean the Wii doesn’t aim to be more, just the opposite, it continues to chase large ambitions. 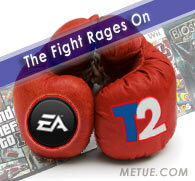 That was the tagline when Take Two initially responded to EA’s public tender offer to acquire the company. 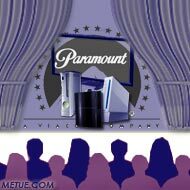 Wednesday, the sentiment echoed anew from the boardroom and two brokerages when Take Two formerly rejected the offer. Supporting the decision legally, the company filed a heavy load of documents with the SEC stating their case, along with supporting (albeit disclaimer laden) fairness opinion letters from Bear Sterns and Lehman Brothers. With an ongoing hostile takeover, when the news flashed that Electronic Arts was jettisoning existing CFO Warren Jenson, it was clear that even with no successor named, one was ready and a few dotted “I’s” and crossed “T’s” from being announced. Now it’s official. 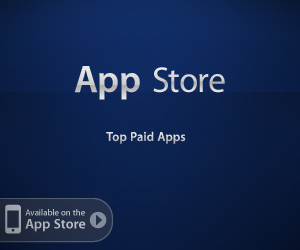 Thursday, EA officially filled the void with the appointment of Eric Brown. Brown was currently employed as the CFO at McAfee but will leave the post to join EA on April 14th. The last time I had jury duty, I spent several hours waiting as prosecutors and defense attorneys horse-traded their way to a plea agreement behind closed doors. Before being dismissed, the judge on the case addressed us to say thank you for our service. Your time wasn’t wasted, she told us. Even though we weren’t impaneled, we served a valuable role as leverage. Our presence, and the ability to carry the case to trial it represented, was the point. That same kind of brinkmanship seems to be at play in an increasingly nasty patent battle being waged by Gibson Guitars at all things Guitar Gaming related. 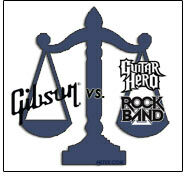 The question is: are the lawsuits aimed at Guitar Hero and Rock Band threat enough to force a settlement, or are the patent issues so inapplicable in the eyes of the defendants that they’ll let the courts make the call. The dinner table may be set at Electronic Arts but the guest list seems to be changing. After naming former Ticketmaster CEO John Pleasants as COO last week, today the company announced the surprise departure of Chief Financial Officer Warren Jenson. 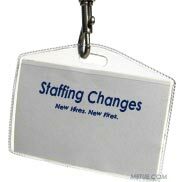 For now, a replacement isn’t officially being named but that news is expected to come relatively soon.